The Rosen College of Hospitality Management at the University of Central Florida has been ranked No. 2 in the world as a hospitality and hotel management school, according to CEOWORLD Magazine. In 2015, Rosen College ranked No.5 on the magazine’s list of the 50 best hospitality and hotel management schools in the world. The jump up the scale is a significant accomplishment for Rosen College, which is the youngest institution of higher education among those ranked. The CEOWORLD Magazine ranking is unique among international higher education institution surveys as it evaluates schools in terms of the full scope of their missions, including global reputation and influence, recruiter feedback, job placement rate, admission eligibility, specialization and academic reputation. It also relies upon peer ranking from senior scholars in over 52 countries to develop its list. The United States leads the way with 26 institutions featured in the ranking. Cornell School of Hotel Administration once again ranked as the best hotel management school in the world, according to the new study by CEOWORLD magazine. Rosen College of Hospitality Management placed second on the list, followed by William F. Harrah College of Hotel Administration at No. 3. Switzerland’s Ecole hôtelière de Lausanne and School of Hospitality Business at Michigan State University in the U.S., ranked No. 4 and No. 5, respectively, among 50 listed institutions. 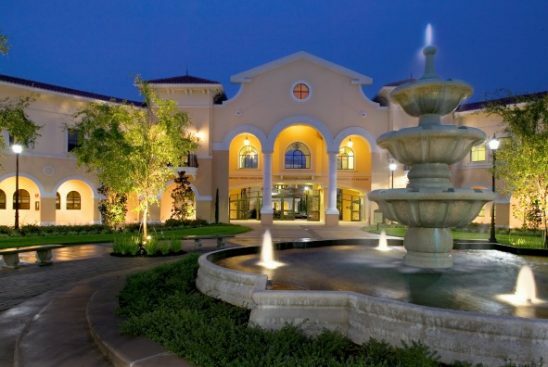 With an enrollment of approximately 3,500 students, Rosen College offers six academic degrees, including the only bachelor’s degree in event management in the United States and the only doctoral program specifically in hospitality management in Florida.